It’s beautiful that modern world offers us so many possibilities to express the feelings to our loved ones. 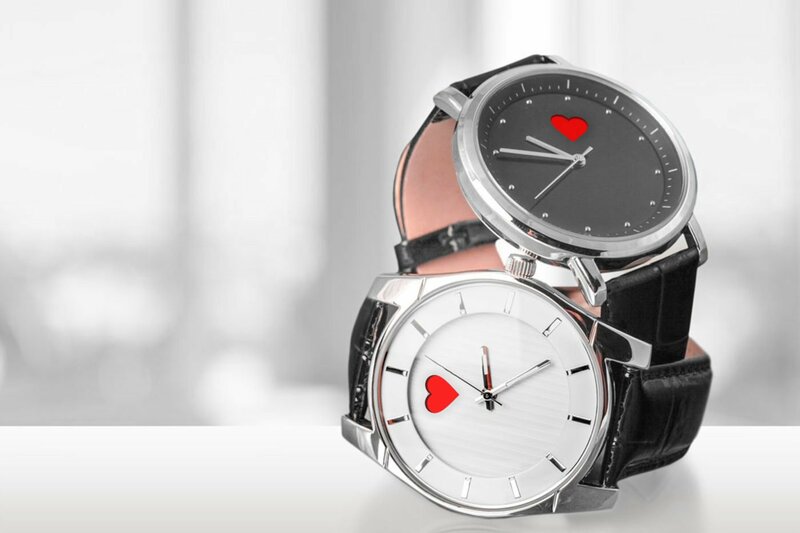 However, when you’re tired of typical rose bouquets and chocolate boxes you might wanna look at some watch brands that also reacted to the Valentine’s Day marketing feast and bring us salvation and alternative to say “be my Valentine” in much more non standard ways. As the “heart” theme is dominant during Valentine’s period and the ultimate love symbol, the Frederique Constant Double Heartbeart Chocolate Diamond Pavee might be a good way to start. The open heart mechanism should never stand still, just like the burning feeling (unless she will not care about it for longer than 38 hours power reserve, then it stops just like love in real life). 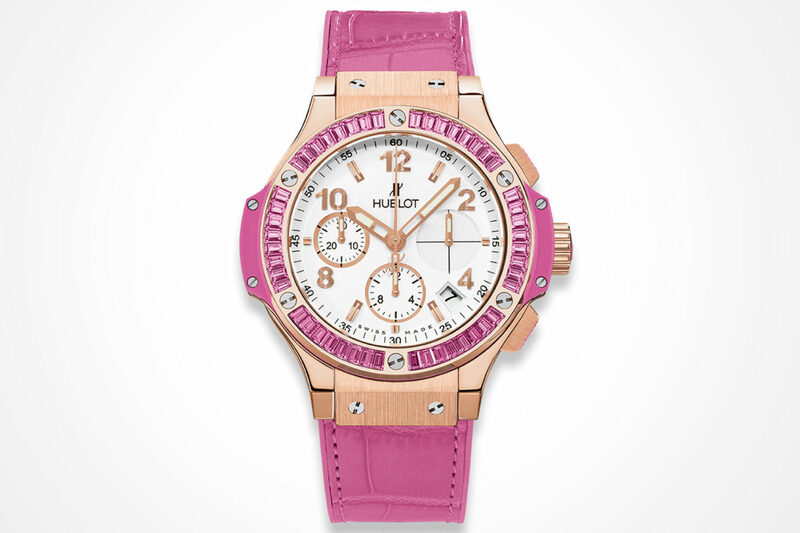 Is pink here favourite color and baguette diamonds are her best friends? Well, Hublot has always something to offer from his wide (I mean, really wide) range of pieces. The Tutti Frutti is kind of girly, kind of cute, kind of lovely so do I need to say more? Oh… and Bar Reafeali worn those pieces so quite a beautiful crew to identify with. 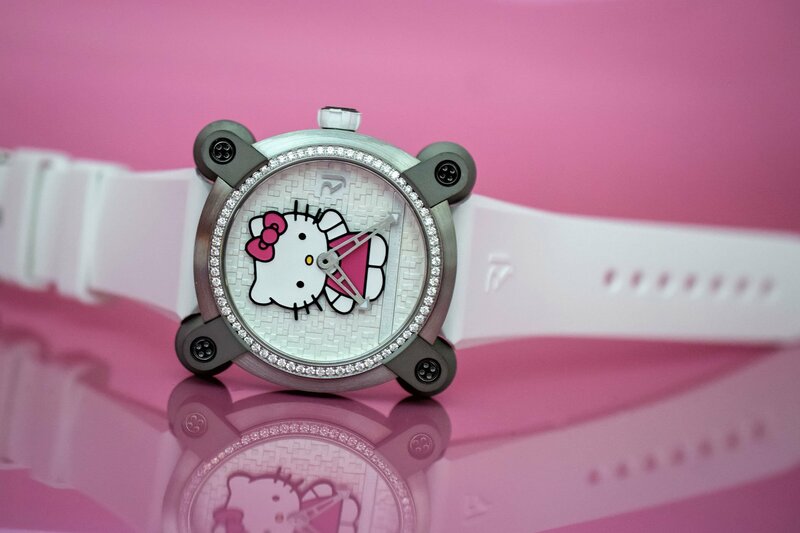 If she’s a die hard girl living her life in a less serious way (and she’s from Asia), she will go crazy for the Romain Jerome x Hello Kitty collab watch. Just look at that and try to understand the phenomenon that this simple cat became a cult icon in some part of the world. #Cutenessoverload tag embodied. Need something more classy? 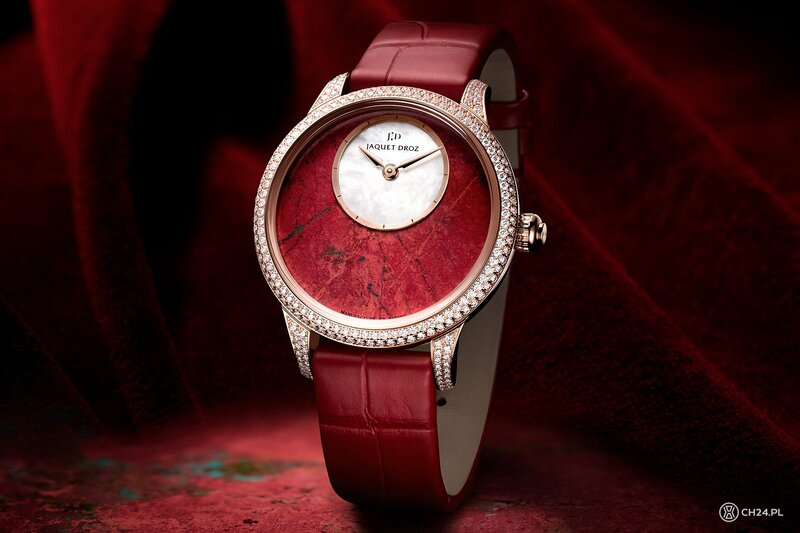 Well, Jaquet Droz is always the epitome of fine art. 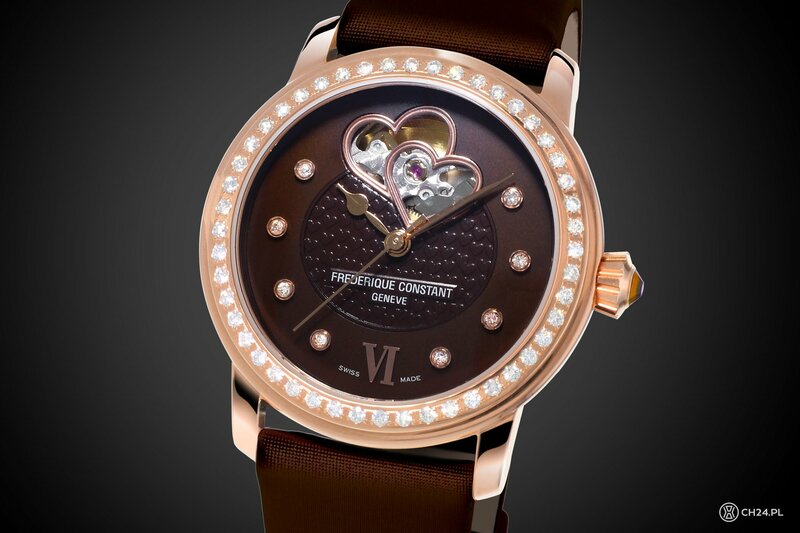 The dial of the Petite Heure Cuprite, as the name explains – is made from Cuprite, pretty rare precious stone that is like copper on steroids and much more pricey. Now you can amaze her with your gemologist knowledge limited not only to gold and silver. Profits all the way! 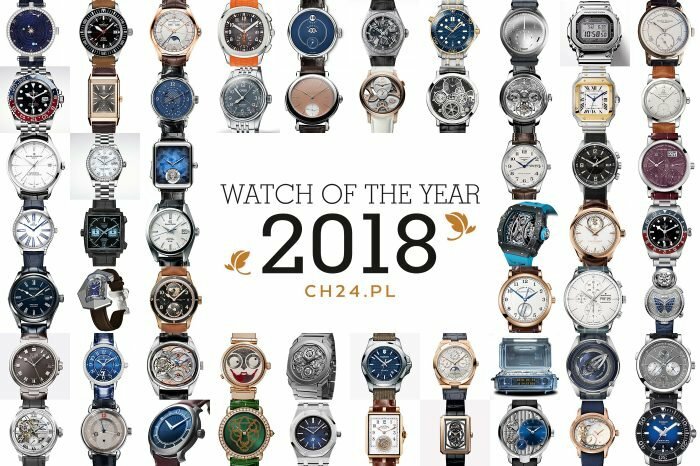 If you want your woman to play “he loves me, he loves me not” from time to time, the Margot by Christophe Claret is a watch you should consider. 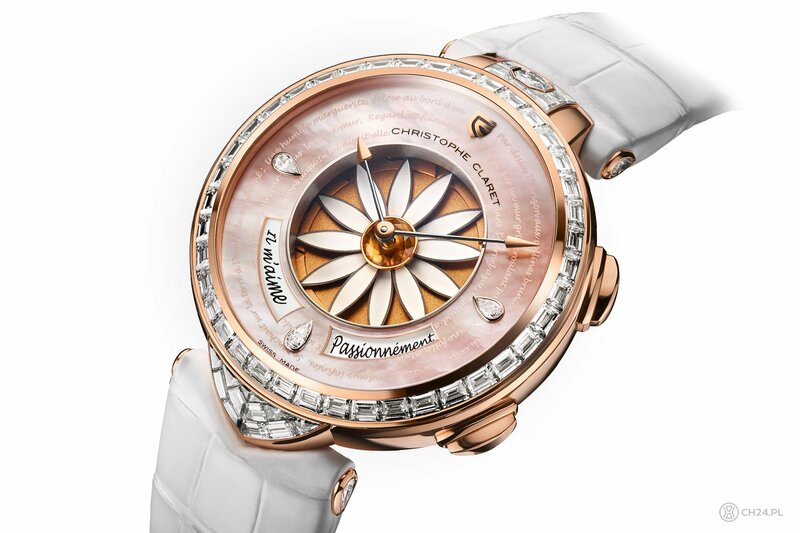 The unique mechanism enables her to play with mechanical flower petals and stripping each and every one by touching a small pusher on the case at 2 o’clock. That will start the game by hiding one or two petals (you never know how many). After that she can undress the flower further while being tempted by calligraphic words describing the strength of the feeling from “not at all” through “a little”, “a lot”, “passionately” and “madly” with every petal undressed. Oh, and there’s even a little chiming sound with each petal being hidden. Quite a cool toy for approx. 220k USD in a basic, non-diamond version so wishing her (and you in effect) only the best results! 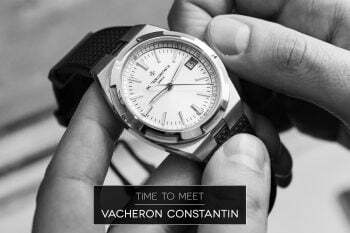 If you ever read Marquis de Sade poems or at least “50 Shades of Grey” and always wanted to show her your slightly perverted face and manliness – get a watch for yourself that will give her discreet messages about your plans for the night. Although this website is too classy to reveal all the possibilities of text messages driven by the complex mechanism, trust us that “Let me kiss you tonight” is an innocent foreplay to the wider range activated by 10 o’clock pusher. 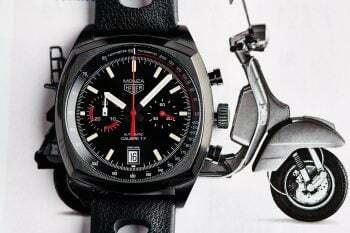 750k USD of price tag also works like an aphrodisiac, at least for some women.